This is a list of restaurants awarded by the culture and entertainment magazine Athinorama. These awards have been organized for over 20 years by the magazine, and are probably the closest you will get to some sort of “best restaurant” list in Greece. While there are many great restaurants in Greece not on this list and many restaurant critics will disagree with the order and scoring of these restaurants, the list does provide a good starting point and some ideas on restaurants to visit. It is worth looking at these 2 lists and trying out some of these restaurants. 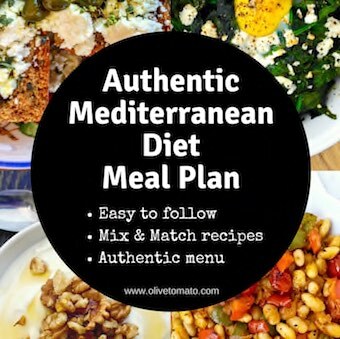 The first list includes all cuisines and the second list is exclusively for Greek food restaurants (classic and modern) and is a category of its own. Currently there are five Michelin awarded restaurants in Greece, which are on the list below- I’ve noted them in the descriptions. 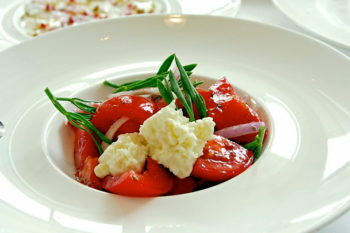 French-Mediterranean cuisine, legendary restaurant in Athens. Also holds two Michelin stars. Modern Greek Cuisine in a Treehouse! Thank you for this wonderful blog. To this terrific list, I would humbly add two favorites that have won “awards” from our family and friends: Geona’s in Paleo Psychiko and Kuzina in Plaka. Even if you can’t get a table at Spondi or Milos, you wont be disappointed! Funky Gourmet has just been awarded a second Michelin star in March 2014 and along with Spondi are the only two restaurants in Greece that have this distinction. Thanks, Kiriaki we have not updated the list with this year’s results. Do you have an updated list for 2015 please ? Please add me to your mailing list as I’m going to be visiting Greece. Hi Stephen, you can add your email in the section where it says “subscribe” in the sidebar. Going to Athens for just one night and would like a recommendation for a great place near Syntagma Square to have real Greek food with my wife and 2 kids (they eat everything). Then heading south to Costa Navarino so any recommendations in that area would be great. Tks!! Hi! What a great list you’ve got there! I’m planing to go to Greece during the summer and am wondering if you know of any local greek restaurants or cafes that you will recommend? It doesn’t have to be fancy, I would love to try everything there as local as possible. Thank you! cannot wait to try a few this summer!